Keeping the thing in mind “ Scientific Advancement”, Grade 6 students and teachers begun with their expedition with a smooth start. Group A KL, Subang and JB reached Singapore around in the afternoon. After a long bus ride from their respective campuses, we head straight to lunch. Once the students were fed well, we proceeded towards the first activity of Day 1. 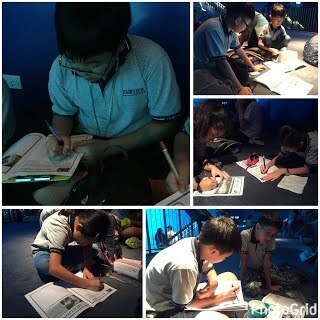 First, we visited the Sea Aquarium where students witnessed beautiful kind of aquatic life. They learned about the environmental problem phase by these aquatic species, human activities that have impacted the marine life. The next activity, we moved on to visit the iconic Merlion Statue. This is the Second official Statue situated in the Sentosa Resort Singapore. The Merlion is a statue which has the head of a Lion and a Body of a Mermaid. 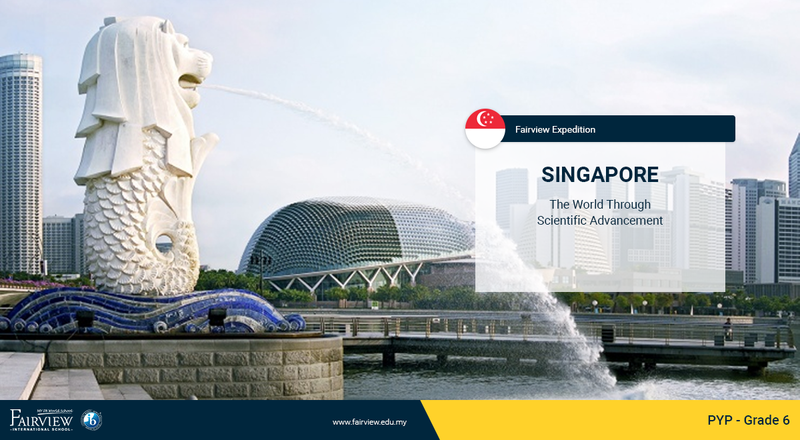 It is said to represent the Symbol of Singapore (Lion) and their ancestral trade (Fishing). After the long tiring day, the students were eager to have their dinner; @ Maimunah Restaurant. With their belly filled and smile on the face, students were given their phone to call their parents. We continued with day 1 reflection and finally head to D’ Resort to have a well-deserved rest. After our delicious breakfast, we immediately board our buses to Gardens by the Bay which is known as one of the largest climate controlled greenhouses in the world. The garden is split into two section; Cloud Forest & Flower Dome. Section 1 was all about Tulips this time. The students enjoyed the fresh smell of flowers and variety of Plants from all around the world. Section 2 was fascinating as it was about having an indoor rainforest where visitors are able to get hands on experience on various plants, limestone and crystals. After the tour of the Science Center, students were given the opportunity for their loved ones. Once the shopping was done, the students were eager to have their dinner; @ Maimunah Restaurant. With their tummy filled and smile on the face, students were given their phone to call their parents. We continued with day 2 reflection and finally head to D’ Resort to have a well-deserved rest. Before going to bed, students were briefed on going home procedures. After a nice breakfast, we went to Newater. We learnt a lot about water renewal there. See you back in Malaysia. 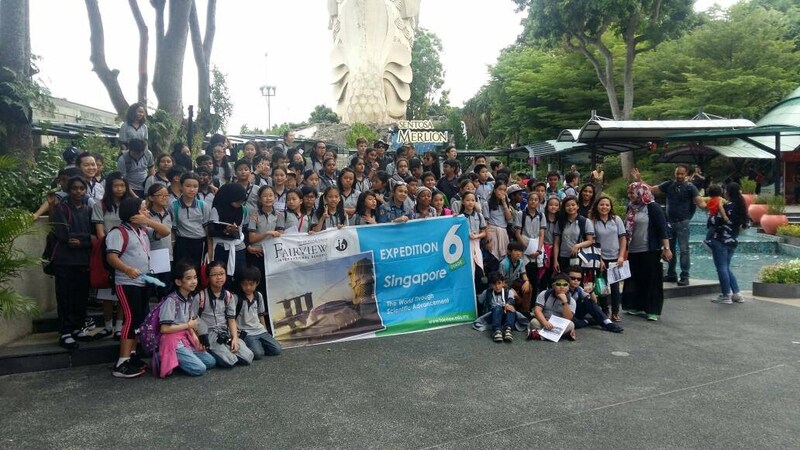 Grade 6 Group 2 Expedition includes Grade 6 students from Kuala Lumpur, Ipoh and Penang Campus. It was a day full of learning and fun activities for all the Grade 6 students! Some early birds arrived as early as 5.00am to embark on this exciting journey with their friends. They left their respective campuses at dawn in order to keep up with the exciting itinerary for the day. Upon arrival, students and teachers went on their respective buses and tour guides. 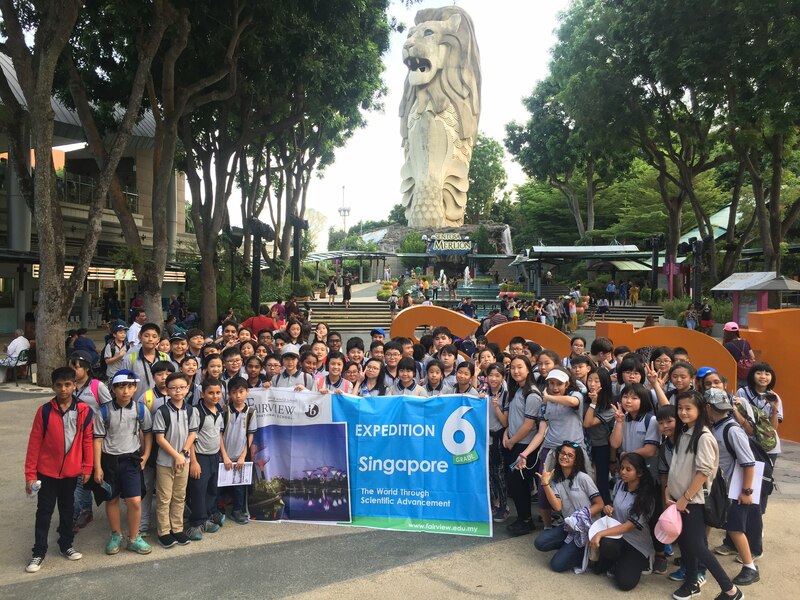 The tour guides provided G6 students with an overview of Singapore’s background. Besides, the tour guide shared with the students on the itinerary and a brief history of the places that we were visiting. The information got our students psyched as they were busy asking questions on things that can be done at those places. Our first stop was the awe-inspiring ocean life at the SEA Aquarium. Students were fascinated throughout the journey underwater as they were busy clicking pictures of the various inhabitants. Here, students discovered the mysteries of the ocean life and how a shipwreck evolved into a thriving marine habitat. They learned about how various human activities leave different impacts on the marine ecosystem and tried to figure out scientific advancements that can help to curb the aforementioned issues. After spending a good two hours at the SEA aquarium, students went to the Merlion waterfront to take a group shot before heading to the restaurant for their dinner. Students were briefed on the history of Merlion; how it became a symbol of Singapore and how Singapore got its name. Students and teachers headed for the hotel after a fruitful day. A short briefing was conducted upon check in at the hotel on the itinerary for the second day. Though it was a tiring day, students were all pumped up for the activities lined up for the second day! Roaring time in the lion city; in short, that is what our second has been. So much to see, so much to do, so much to digest for our young minds? From being in contact with an over 100 years old olive tree to some mind-blowing scientific innovations, it has been an incredibly busy day which kept our students wow-ing all along. After our breakfast, we headed for the multi-award winning horticultural destination, Gardens by the Bay. Students were busy clicking away of the sustainable super park. Students visited their two green conservatories, the Cloud Forest and Flower Dome. These climate-controlled biomes provided them with an overview of how renewable energy is harnessed and how scientific advancement plays a huge role in making this possible. After, we visited The Science Centre Singapore, with its seemingly endless maze of corridors and rooms. Students were busy twisting, turning, and tugging at the constellation of glowing buttons and knobbly levers. Bearing in minds our central idea that evolves around scientific advancement, students explored the Bioethics, Singapore Innovations and Defending Science halls to better enhance their understanding. “The human mind once stretched by new ideas never goes back to its original dimensions.” This saying by Oliver Wendell Holmes decorates the walls of the Science Centre upon entering; aptly summarises the mission of the centre. We had a great breakfast, and then went over to NeWater. We spent a lot of time there, learning about clean water. And then it was off to lunch – we were so hungry! After lunch, it was time to go home. See you in Malaysia. © Copyright 2017 FAIRVIEW INTERNATIONAL SCHOOL ALL RIGHTS RESERVED.